from the nato's: Everyday Grace. 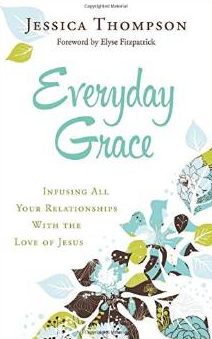 I love that Jess Thompson titled her book on relationships Everyday Grace , not every week grace. Or every couple of months grace. Is it just me or does every day feel like I need Christ more and more by the second as I interact with people. People are the worst, I always say, and that's because we are sinners interacting with sinners all the live long day. We are bound to place unrealistic expectation on one another and also, we are bound to hurt and be hurt by each other. What is the solution then? So. Lets read a little condensed version of a chapter about friendships and how the Gospel intersects them. No longer do I call you servants, for the servant does not know what his master is doing; but I have called you friends, for all that I have heard from my Father I have made known to you” (John 15:15). I was thinking about this the other day, when, all of a sudden, John 15:15 came crashing into my thoughts. Jesus does the very thing that I am so afraid of doing. He tells us, you and me, that he calls us “friend.” It almost seems like that can’t be right. I can understand God calling me his child, or his servant…but to call me his friend? He begins our relationship by calling me “friend.” I don’t do anything to deserve or earn this friendship. My savior has proved his love for and friendship to me by laying down his life for me. This opens up my heart and allows me to lay down my life for others. He has loved me when I don’t deserve it, even when I forget him. This changes my friendships; I can love even when I don’t feel like I am being treated the way I deserve. You can grab this new book, Everyday Grace: Infusing All Your Relationships With the Love of Jesus on amazon right now!! This is me. Afraid of friendship not being reciprocated! Friends, this was exactly what my heart needed today. God has such a way of speaking to us and his timing is alway perfect. This is going on my must read list! I really needed to hear theses inspirational words. Sounds like a lovely book. :) if i don't win it I'll buy it. I just did. I cant believe i won :) thank u. What a blessing i needed today. Just finished my latest read and was looking for another to help keep my weary soul afloat...this looks perfect! I so loved her book Give Them Grace. Fingers crossed for this one! Well, now that I know this exists, I would love to own it! I have to preach the Gospel to myself every hour.....if I could I would every minute. This book sounds amazing!! Such truths. Thanks for sharing. This books sounds lovely! Even if I don't win, I will be purchasing it for sure! I love this. I'm in a hard place with a close friendship right now and could really use this encouragement and reminder! Oh how I need something such as this right now! I'd love to win a copy! I don't have many marriage books I recommend to others (aside from Meaning of Marriage by Tim and cathy Keller), but this one looks promising! This looks so great! The topic of friendship had been a hot one in the circle I run in... It can be such a hard thing when we are so concerned with what we get from it.. This looks like a great read!! Would love to win it! You are the first person I think of when I come across something Gospel-centered... I think you would like this. Didn't know she had a new book out! Thanks for posting about it. God so has me in a place of recognizing my need for His grace each day. I liked her parenting book. This sounds spot on. This looks likes great book! But then, anything about grace is a great subject! Everyday Grace. What a fantastic title. Thanks for the giveaway. Loved the excerpt - hit me right where I am. I will read this book. Thanks for the post on it! Love that this book is about all relationships. can not wait to read this book! Thanks for sharing! I love all the books!!! I would LOVE to own this book!! Hey there, Jami! 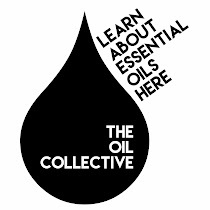 A little birdie just told me about your blog the other day, and I was so encouraged to see that you're from the KC area. 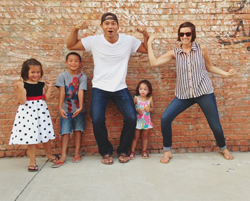 I live in Topeka and have always been discouraged that there aren't a ton of creatives in this area of the country. So encouraged to have come across you and your blog!!! YAY! this book sounds great. thank you for living each day in God's grace and sharing it with the rest of us. love.